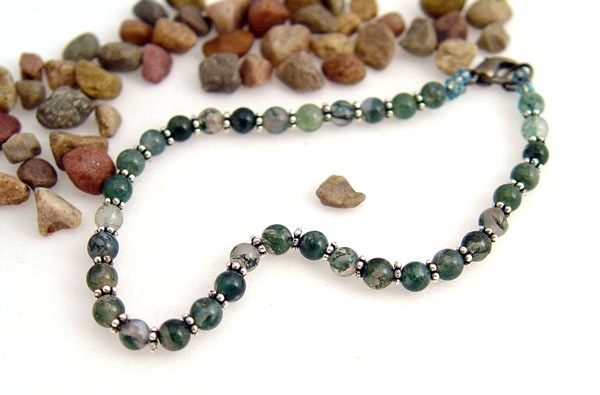 This 7 1/2" natural moss agate bead bracelet is made with tiny pewter spacers in between each bead to bring out the beauty in every one. It comes with a gunmetal lobster claw clasp. Each one is unique and made individually.